You know a unit is quiet when you have to take the lid off your server to make sure you have not connected them up by mistake! These things are really quiet. Perfect for a home office server room where cooling and low noise levels are important. I've been using two of these in an HTPC for 12 months. Whisper quiet and shifts a good amount of air. The PWM splitter cables they come with are also brilliant. My motherboard has 2 4-pin connectors for case fans, so I am using 2 of these PWM splitter cables to connect 4 fans to my motherboard. I installed this in my Dell Vostro 200, replacing the standard cpu fan. It works fine and has made a really noticeable difference to the noise. Very quiet and effective. Using two of these as exhaust fans in my HTPC. fitted this as CPU fan in my Dell Vostro 400 - easy to fit & works beautifully. I ran CPU for 15 mins at 100% via DIVX converter to test it under load. with both core working flat out, the core temps hovered around 50% (speedfan readings) with little fan noise & that was with fan running at its max, about 1600rpm. When CPU is idle, the fan runs at about 850 & is inaudible. Much quieter than Dell stock fan. Used this to replace the stock fan on a Dell Studio 540 CPU heat-sink. The Dell motherboard has non-standard heat-sink fittings so changing it would be very difficult. 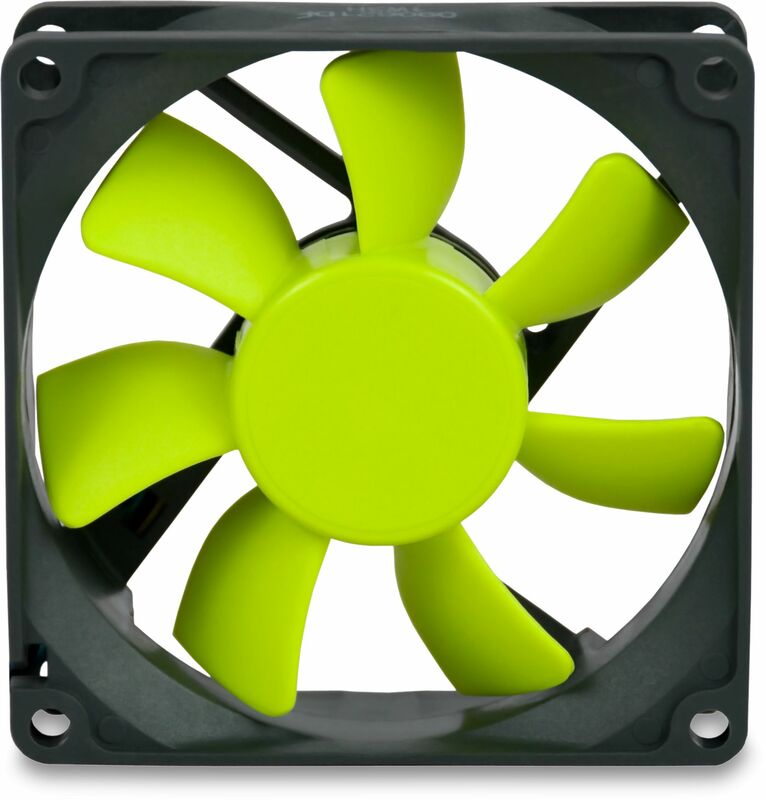 The fan however is a standard case fan clipped to the top of the heat sink by 4 clips. A bit fiddly to change, and the fan wires on the Cool-link emerge right where one of the clips needs to go so I had to break it off and use only 3, but it worked ok. (Note, this would not be a problem with an AcoustiFan as the wires emerge in a slightly different place) With this fan running at an almost silent 850rpm, The CPU core temps are a degree or two cooler than with the stock fan screaming away at 1900 rpm!